Shilling slides further as crude oil cost rises – Kenyatta University TV (KUTV). All Rights Reserved. Consumers are likely to feel the pinch of higher fuel prices from next month as cost of crude oil rises amid a depreciating shilling against the bullish US dollar, energy regulator has hinted. The shilling has depreciated by 2.12 per cent against the greenback since the election of Donald Trump as US president on November 8. His surprise election raised hopes of tax cuts. Higher global oil prices and a slide in value of the shilling usually push up fuel prices as Kenya is a net importer of refined petroleum products since the closure of Kenya Petroleum Refineries in September 2013. The Energy Regulatory Commission said Free on Board price of Murban crude oil rose by 17.33 per cent to $54.15 (about Sh5,545 ) per barrel in December from $46.15 (about Sh4,700 ) in November, impact which will be felt locally from next month. The ERC on Saturday cut the price of diesel for the month ending February 14 by Sh0.12 per litre, giving a slight reprieve to companies and households that largely rely on the commodity for transportation, manufacturing and farming. 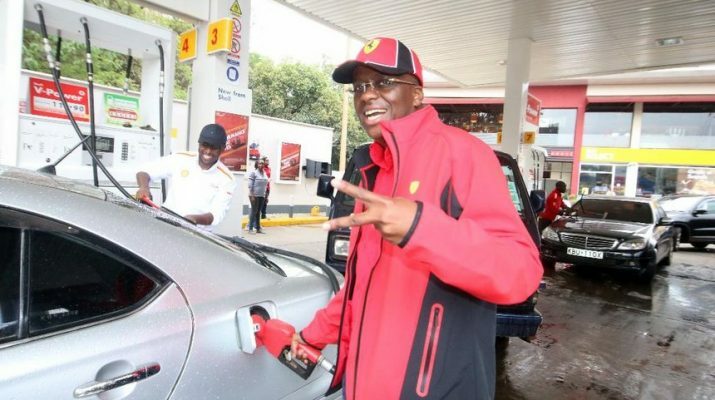 The price of Kerosene has dropped by Sh2.99 per litre while a litre of super petrol has gone up by Sh1.81. The new pump prices were in line with the cost of imported fuel in December, ERC acting director for petroleum Edward Kinyua said in a statement. A tonne of refined super petrol rose 5.22 per cent month-on-month to $530.24 (Sh54,301 ) in December, while diesel and kerosene declined by 6.54 and 2.51 per cent, respectively, to $446.84 (Sh45,761 ) and $487.91 (Sh49,967 ). A litre of petrol has consequently increased to Sh92.60 in Mombasa, Sh96.01 in Nairobi and Sh98.01 in Kisumu. Diesel has dropped to Sh80.85, Sh84.23 and Sh86.43, respectively, in Mombasa, Nairobi and Kisumu. Kerosene in Mombasa, Nairobi and Kisumu is selling for Sh60.60, Sh64.32 and Sh65.39 a litre.